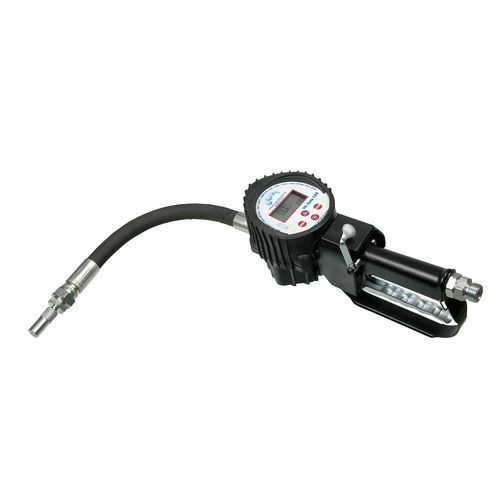 Digital oval gear meter “OIL GATE 100” with gun, flexible extension, manual non-drip nozzle with screw shut-off, 1/2” BSP inlet swivel. With trigger guard and rubber cushioning. Flow-rate min. 2 - max 20 lit/min.